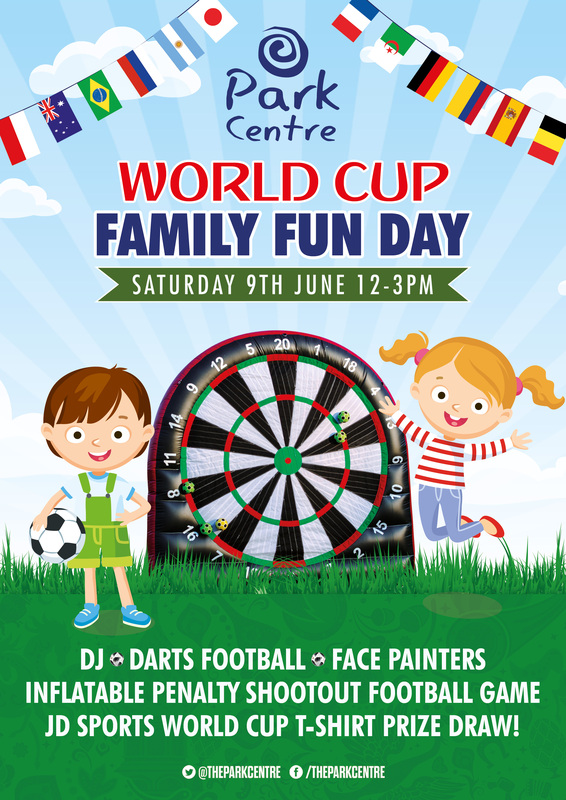 Join us this Saturday 9th June from 12pm-3pm as we gear up for the World Cup! Lots of Family Fun to be had so come along and join in! We will have a DJ, darts football, face painters and an inflatable penalty shootout! We will also be revealing the winner of the JD Sports Prize Draw!